Any 21st Century British political party operating without a Countryside Spokesperson should take a long, hard look at themselves. Official figures show that the UK rural population will increase by 6 per cent over the next decade as people choose to leave cities and settle in the countryside. 17.4% of Britons live in rural areas – 11,337,632 people. Cities may seem to dominate our culture, our politics and our media, but a backlash against liberal values and multiculturalism has been led by rural and smaller town voters – in the English countryside, 55% voted for Brexit. Ignore the power of the countryside and your party’s political support is seriously contracted. When I co-founded Country Squire Magazine with a friend from the Countryside Alliance we saw a gap in the market, which we have successfully exploited ever since. Unlike our more established rivals, popping corks at the metropolitan offices of The Field, Countryfile Magazine or Countrylife, we never intended to create a vision of the rural idyll for wealthy townsfolk to coo over. The problem for actual countryside dwellers is that these publications tended to be looking romantically at the countryside from suburbia or the city – they failed to see the world from the actual countryside perspective. Our success as a platform for the countryside has stemmed from recognising that countryside dwellers have a unique set of problems, which metropolitan politicians and commentators tend to ignore in search of cheap, urban votes. Take housing. Property in rural areas across Britain is on average a fifth more expensive than in urban areas. Those living in towns and cities presume that, since there’s plenty of land in the countryside, there are plenty of houses for country dwellers to reside in. This is not the case. Many are now owned by exurbanites who decided that an Escape to the Country was just what the doctor ordered, pushing house prices up to levels beyond the latest descendants of families who have lived in the same rural areas and managed the land there for centuries. Add to this the problem of holiday cottages – which tend to be owned by urbanites – and young families have no choice but to leave home for pastures new, while rural homelessness has sky-rocketed. This has had a profound effect on countryside morale – as much if not more than the hunting ban, which separated communities previously bound from Lord to worker by the classless glue of hunting – and poses serious questions about the sustainability of farms in certain areas. We are risking rural communities becoming enclaves only for the affluent. A village needs a school, a shop, a post office and a pub but so many are now closed and converted into private properties to meet the exurbanite and second homer demand. In just 6 months between December 2015 and June 2016, 231 pubs closed in rural areas, ripping the heart out of 231 villages. Five rural post offices a week closed under the last Labour Government and the trend has continued. Do we want the countryside just to be a national park full of holiday cottages and import our food from elsewhere or do we want it to be full of thriving communities that can be a beneficial and productive part of the economy? Those I speak to in the countryside are worried about Brexit discussions focusing solely on agriculture and the environment. The effects of austerity and corporate cost-cutting have already decimated vital rural services, notably transport infrastructure to remote areas. 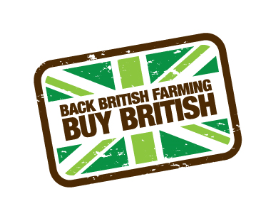 Brexit will not simply affect the countryside in terms of a withdrawal from the Common Agricultural Policy and related subsidy and regulation but it is also likely to bring to a head issues concerning the very fabric of rural life that have long been unravelling. What road do we want the rural economy to be on in the next decades? Will armchair countryside intellectuals residing in London, or Fabian placers in countryside charities and the so-called experts of DEFRA in Whitehall get away with ideological townie nonsense like rewilding? Will the right energy choices get made or will Britain’s countryside continue to be blighted by hideous wind turbines which rarely turn? Idealistic, do-gooding Labour is laughed at by most country folk – they have witnessed first-hand the serious damage done by Labour to the British countryside and will never trust it again; chuckling at the insurgent fox populations now blighting Islington and Hackney. In most countryside constituencies you can pin a blue rosette on a dog and it will get elected, simply because of TINA – there is no alternative. While the British Countryside continues to vote Tory, Labour will continue to disrespect and abuse it while Tories will take its votes for granted. Britain’s rural inhabitants rightly complain about broadband services, but well-connected townies just don’t understand what a serious problem patchy broadband is in today’s interconnected world. It’s not a question of poor reception for streaming football matches, it’s hindering the growth of businesses and cutting off support for small enterprises that townies take for granted. How can pubs and rural restaurants promote themselves when their seat reservation service and web analytics are inaccessible, how do entrepreneurial farmers market their produce to foreign buyers, how do schools and rural public services find recruits when it takes two minutes to download every CV in their inboxes? The countryside feels left behind and many countryside folks I talk to are angry with broadband suppliers and politicians for failing to deliver. Countryside living happens to be damn expensive. Households in Britain’s rural communities spend nearly £3,000 a year more on everyday essentials – like petrol and groceries – than those living in towns and cities. Year-on-year rural inflation has averaged 5.4 per cent during 2017 so far, which is much higher than the official UK inflation rate. Rural residents spend an extra £540 a year on petrol and diesel and an extra £200 on vehicle maintenance than those living in urban areas, it is estimated. At the same time, around 1.6 million households in the UK rely on heating oil, rather than gas, to warm their homes. Electricity is more used in countryside homes than those in towns – the average annual electricity bill is around £814 for a rural household, compared to an average of £612 for all UK households. Someone paying 24p a litre in January 2016 was likely to pay in the region of 44p a litre for heating oil in January this year. Come floods, hurricanes or droughts, Britain’s hardy rural communities have always worked out ways of surviving and adapting, despite government intervention or, indeed, without it. Now just for a minute imagine if a political party came along and took these rural-enhancing opportunities seriously and actually supported the goals of the rural population. What a prospect! The power of the countryside could drive them into Downing Street. This article was originally written by the Editor of Country Squire Magazine for The English Channel, the UKIP media channel, urging them to appoint a countryside spokesperson. Let’s now see if they do.